For a few years, we’ve been telling you on the air how easy it is to listen to Boss Boss Radio in your car, and we’re not joking. It’s really easy to do. 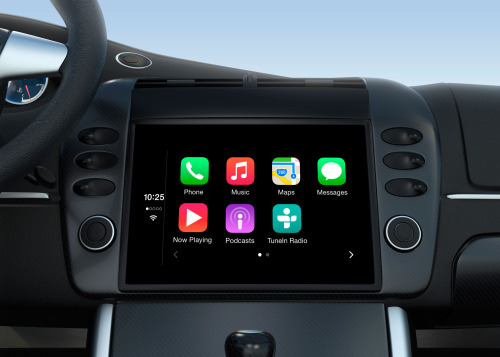 But not every audio set up is alike, and with the lightning speed of technology, new and innovative methods of connecting smartphones and your car’s audio system improve almost daily. So here are the “basics” of playing The Boss in your car. Dependent on what sort of audio set up you have, choose the method that works best for you. ** For your convenience, we’ve linked to some inexpensive products you can order directly from Amazon by clicking on the photos. You can probably find many of these items at your local electronics store as well. Boss Boss Radio receives a small commission for items you purchase from these links. Many of us still have cassette decks in our cars. If so, this is a better option for you to connect your smartphone to your car audio system. Just pop the cassette adapter into your player, plug the headphone jack into your phone or select the Bluetooth version to pair with your smartphone and you’re set. There are plenty of options here, from units that plug into your AC power source to one that plugs into your iPhone. All use your FM radio to transmit your smartphone audio signal over your car audio unit. Bluetooth Audio (Best) Your smartphone is Bluetooth enabled for voice calls and anything that comes out of the headphone connection. If your car audio unit is Bluetooth Audio equipped (not just Bluetooth for phone calls but Bluetooth Audio) you can pair your phone and start playing Boss Boss Radio immediately. Many audio systems have a 3.5mm mini stereo plug connected to the unit’s Aux channel. Just plug in an Aux cable to the headphone jack of your smartphone and the other end into the Aux port. Mobile WiFi Enabled System (Best) Newer cars are offering manufacturer specific center stack units with built-in Mobile WiFi availability. In this case, use the TuneIn Radio app to listen to Boss Boss Radio. If your unit doesn’t automatically have TuneIn Radio you should be able to download it from the app store/channel. These units require monthly service fees to use the Mobile WiFi which your auto dealer will be happy to explain. Most of these units are Bluetooth Audio enabled as well, so if you don’t want to pay an additional fee for Mobile WiFi, your smartphone will suffice. Apps Listening in the car will require you to download one of the many apps available for your mobile device. Of your choices, we recommend the Boss Boss Radio App or the TuneIn Radio app. Most built-in mobile WiFi enabled systems will only use TuneIn Radio. We have tested most methods and find that listening to Boss Boss Radio in the car is just plain Boss! There’s nothing like rocking out to your favorite Boss Hits curated by the world famous Boss Jocks in the car! Questions? Please click the feedback link! IMPORTANT NOTE: Many mobile carriers are now offering unlimited data plans for streaming music. You may want to refer to your mobile plan to see if this option is available to you. It may only work when you listen via TuneIn Radio or other major apps. Otherwise, data spending plans and limits may apply when you listen over your mobile network (i.e. 3G, LTE, etc.). Check with your carrier for more information regarding your particular plan.